It's time to lay all the cards on the table. Detective Levi Abrams and PI Dominic Russo are reunited and more committed to each other than ever, but they can’t truly move forward with their lives until the serial killer who’s been tormenting them is behind bars. When a secret burial site is discovered in the desert with the remains of the Seven of Spades’s earliest victims, that goal finally seems within reach. But just as the net is tightening, the neo-Nazi militia Utopia launches their master plan with a devastating act of terror that changes the landscape of Las Vegas forever. As Levi and Dominic scramble to prevent the city’s destruction, they’re opposed by treacherous forces that propel them toward catastrophe. In the end, Levi’s fate may rest in the hands of the very killer he’s been hunting. The race to save Sin City is on, and these players are going for broke. No matter how hopeless things seem, as long as they’re together and they’ve got a chip to play and a chair to sit in, they’re still in the game. Loved the ending of this story. It's fast paced and keeps you on the edge of your seat. We have a bomb threat, a bomb explosion, and targeting of high level officials to send Las Vegas in to a tizzy. Levi is still reeling from trying to figure out who the Seven of Spades killer is, but so happy that he and Dominic are back together. Dominic is still struggling with his addiction to gambling, but he's getting stronger every day. Showing his weakness (or his perceived weakness) to Levi is difficult for Dominic. 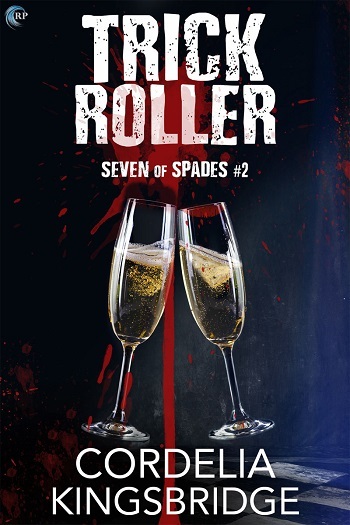 When a white supremacist group starts targeting Las Vegas, because Levi is a hated person by the group, it invites Seven of Spades right to their doorstep. So, racing against the clock that belongs to bombs to blow up Las Vegas, Levi comes face-to-face with his taunter. It was a surprise and an amazing one at that. I did want something more from their interactions. Their interaction was less than what I was thinking it would be. Anyway, the conclusion is well written and Levi and Dominic get to see whether or not they are strong enough to stand the test of time. In the fifth and final instalment of Cordelia Kingsbridge’s Seven of Spades series, Levi and Dominic have their relationship back on track but the hunt for the Seven of Spades continues. I’ve had a prime suspect in mind since about book two. Early on in A Chip and a Chair, the characters discuss their top suspects and my suspect wasn’t on the list and the list included a person I hadn’t even considered. When the killer’s identity was eventually revealed I made such a loud exclamation of shock that my husband came in from the other room to see what was wrong. I’m happy to say my prime suspect was innocent and other theories I had were wrong. I loved that I was so surprised. It is great that after years of reading and watching crime shows and reading murder mysteries that I can still be shocked. It was thrilling. But this story has more going on than our serial killer. Neo-Nazi group Utopia are causing havoc in Vegas and between them and the Seven of Spades, this story is full of tension, action and excitement. I was on the edge of my seat and I was repeatedly shocked by revelations and events. 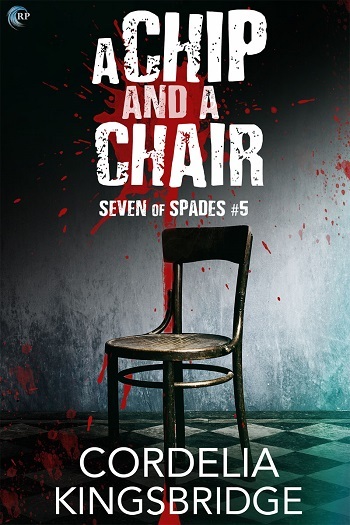 A Chip and a Chair is a sensational book and a perfect ending to the Seven of Spades series. It was even better than I imaged it would be. This is one of the best series I've ever read and I know it is one I’ll re-read again and again. It’s over! 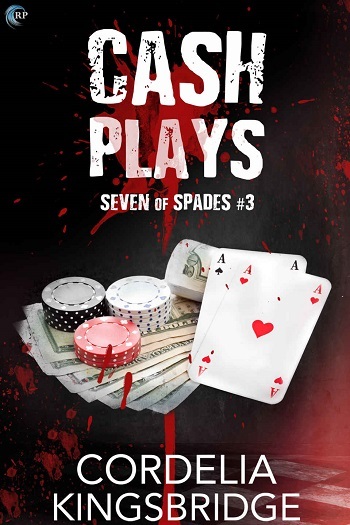 This is the long-awaited finale to the Seven of Spades books and it certainly doesn’t disappoint. 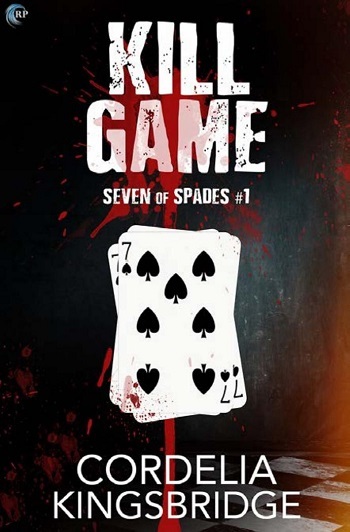 After four books, I was no closer to guessing the identity of the Seven of Spades than I was at the start of book one. It’s difficult to comment more on this story without revealing any spoilers. The pace of this last book is frantic. At the start of the book, the city of Las Vegas is caught between escalating violence from a white supremacist group and the Seven of Spades’ twisted vigilante justice. There were a few moments where I wanted roll my eyes at some of the extreme terrorism but when I readjusted my perspective and considered some of the recent events in the US, the scenarios didn’t seem quite as unlikely. The identity of the Seven of Spades is revealed halfway through the book and I have to admit I had a complete WTF moment where my brain scrambled to catch up. Without spoilers, the big reveal works, and I love that circumstances force Levi and Dominic to work with the Seven of Spades for the rest of the book. The last half of the book is wonderfully twisted. Morality blurs into shades of grey as Levi, Dominic, and their allies race against the clock to save their city. They need the Seven of Spades and Levi finds his personal moral code seriously compromised at times. This is an exciting read and it’s a wonderfully satisfying conclusion to a fabulous series. For reviews & more info, check out our Kill Game post. For reviews & more info, check out our Trick Roller post. For reviews & more info, check out our Cash Plays post. 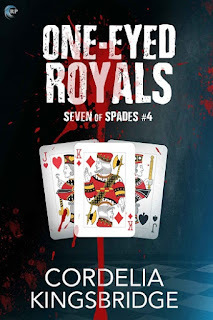 For reviews & more info, check out our One-Eyed Royals post. 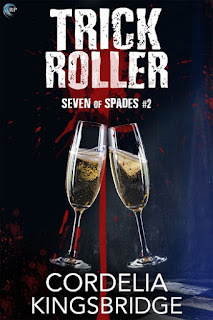 Reviewers on the Wicked Reads Review Team were provided a free copy of A Chip and a Chair (Seven of Spades #5) by Cordelia Kingsbridge to read and review. Veronica reviewed her personal copy of the book.